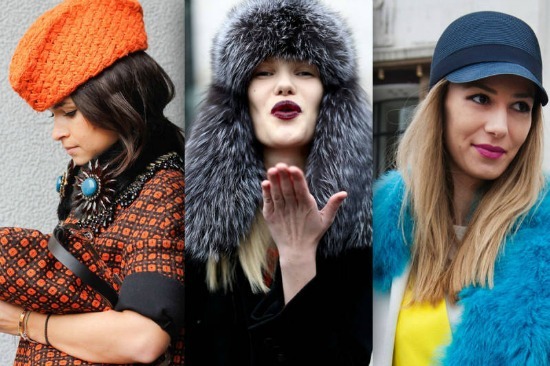 We’re sharing our favorite Winter 2013 accessory trends, including turban headwear, neon accessories, faux fur, and oversized shawls. Attending college in Chicago has been such an amazing experience because the city is so lively and full of diversity. As much as I love it, there is one major drawback out here in the midwest: winter. Being raised in Florida, I probably didn’t pick the best place to experience my first real winter, and I quickly learned they don’t call it the Windy City for nothing. However, being forced to stay warm and wanting to do so with style has made me well-versed with the variety of winter accessories. In really cold climates, fashion often takes a backseat and warmth becomes the main concern, which can really hinder your personal style. To remedy this situation, I’ve found that pairing practical cold-weather gear with fun and loud winter accessories is a fantastic way to stay stylish throughout those cold and gloomy winter months. When it comes to staying warm, protecting your ears on a cold day can make a world of difference. 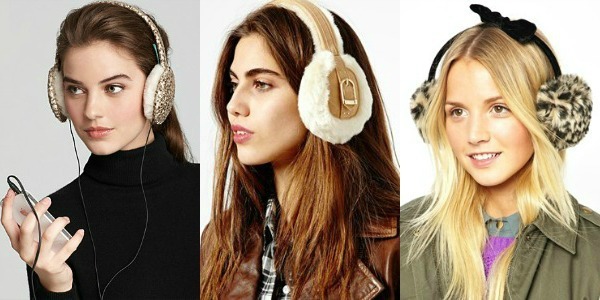 There are a lot of options for ear-warming, like headbands and specialized hats, but none are quite as fun as earmuffs. 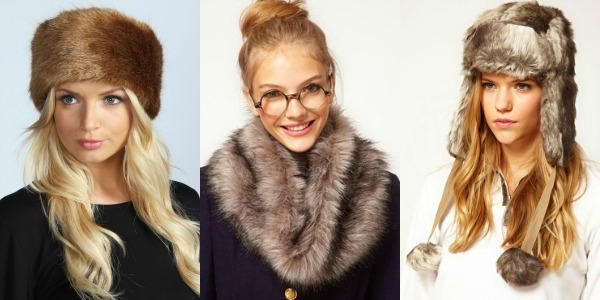 Earmuffs come in many different styles, so it’s easy to find a pair that you will absolutely adore. Extra points if you can find earmuffs that double as headphones! 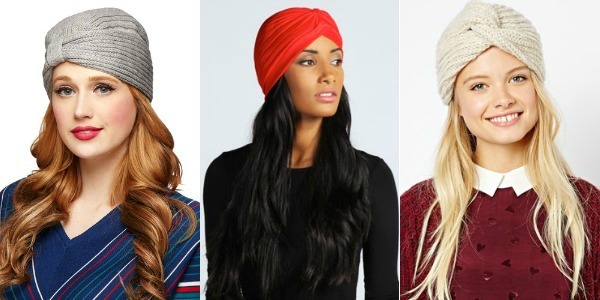 There are an endless amount of winter hats available, but if you want to go the trendy route, try a knit turban. These knit turbans serve their purpose as warm headgear, but also bring a level of elegance to an outfit that you can’t really achieve with a trapper hat. A turban would be a stylish headgear choice when you have to endure the cold on a dressier or more formal occasion. The winter months are not only painfully cold, but most days are also quite gloomy as there is rarely any direct sighting of the sun. Since the clouds are grey, the weather is cold, and the trees are dead, many people pack away their colorful summer clothing in exchange for dark winter coats. But don’t think you have to give up your bright attire just because it’s cold outside! I really love the idea of neon accessories because they radiate what little light is available in an all-around dull environment. 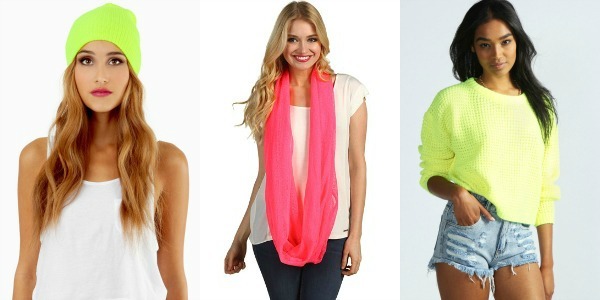 Pick yourself up a neon beanie or scarf so you can make your own sunshine in the months where there is so little. 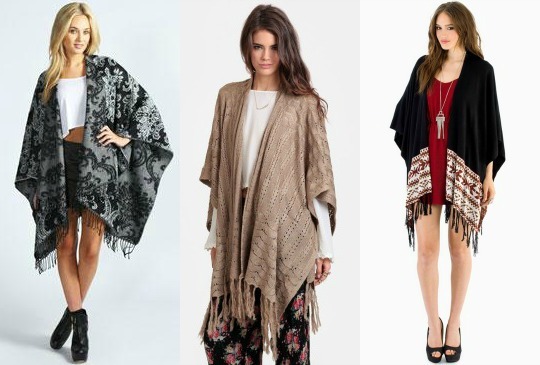 If your winter wardrobe revolves around comfort, then consider investing in a shawl. They are so versatile and can be thrown over virtually any outfit. An oversized shawl has the same casual-comfort look of an oversized cardigan, but also brings a more bohemian flair to an outfit. If you’re looking for a bold winter accessory, try out a (faux) fur piece or two. These add a luxe vibe to any outfit, and the neutral colors will give you a lot of variety. I especially love how a fur stole can completely transform the look of a winter a jacket. Plus, wearing fur headgear is about as warm as it gets! What are your favorite accessories to wear in the winter time?Do you find it hard to stay fashionable when the winter hits? Do you love any of the accessories mentioned above? Let me know in the comment section below!